Parking in downtown Detroit for Detroit Lions and Detroit Tigers games near Comerica Park and Ford Field can be hard to find on game day. Reserve a spot at 151 West Columbia and take all the stress out of your pre-game! This small parking lot is paved and fenced. With a limited number of parking spots, you'll feel like a VIP! Looking for food and fun? A short walk gets you to the Hockey Town Cafe and its exciting pre-game celebration! 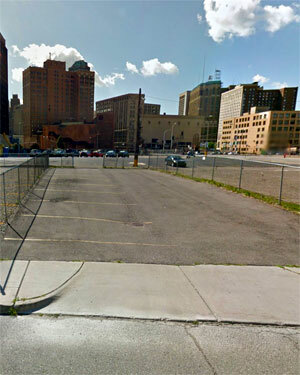 These downtown Detroit parking spaces are standard size and are for vehicles only. Trailers, RVs, and over-sized vehicles are not permitted. Tailgaiting is limited to the area immediately around vehicle.